Hyland refers to this final figure as the ‘audience of value’, which is stripped back from bots, inactive accounts, fake accounts and bought followers. It is essentially the proportion of followers reached that can take meaningful action. When the average costs of a campaign are overlaid, the CPM averages out to $780, with the lowest CPM of $171 and highest CPM of $2,300, among the sample. Hyland head of content Esther Wilson is calling on the industry focus on the cost of reaching audiences of value as a baseline rather than ‘vanity metrics’. Hyland says analysing and optimising for audience of value has helped it deliver a 92% improvement on performance metrics. 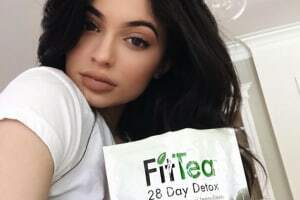 Are marketers being ripped off on influencer campaigns? Influencers are estimated to reach only 16.7% of an audience that is of value to brands, with CPMs averaging around $780, according to new analysis by Hyland Media. The full-service communications agency, which analysed 13 respected Australian influencers, is calling on a re-evaluation of costs versus the delivery of campaigns and believes that only Australian eyeballs that are genuine should be traded upon. It is widely estimated that Instagram posts roughly reach between 25% to 35% of a user’s audience, but Hyland’s analysis breaks it down much deeper and looks at the percentage of an audience that is Australian and of value. The analysis drew on influencers with audiences ranging from 42,500 to 1.5 million, with a cumulative audience of about six million followers across 13 different Instagram accounts. On average, it found that only 61% of this audience (3.6 million) is ‘active and lurking’ – which Hyland says are ‘quality followers’. Of this amount, only 27.7% were based in Australia, which equates to only 16.7% of the total audience (950,000).